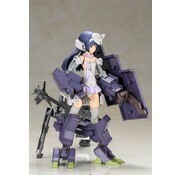 Like Frame Arms Girl InnocenƟa, this model comes with moveable shoulder joints. 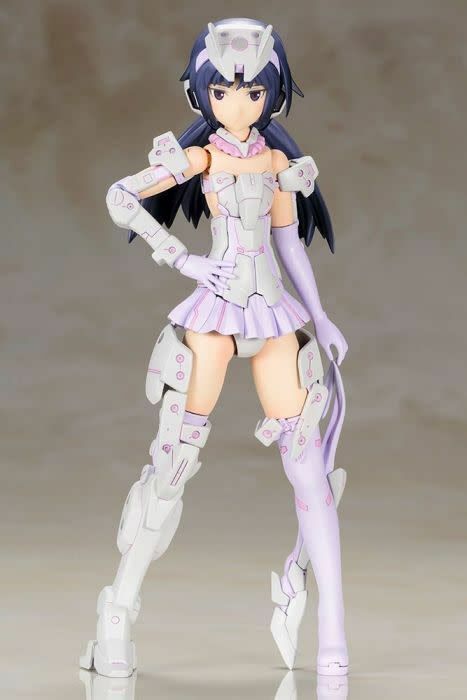 The kit includes three interchangeable faces: looking forward, looking towards the right (based on the original concept art), and looking towards the left with an aloof expression. 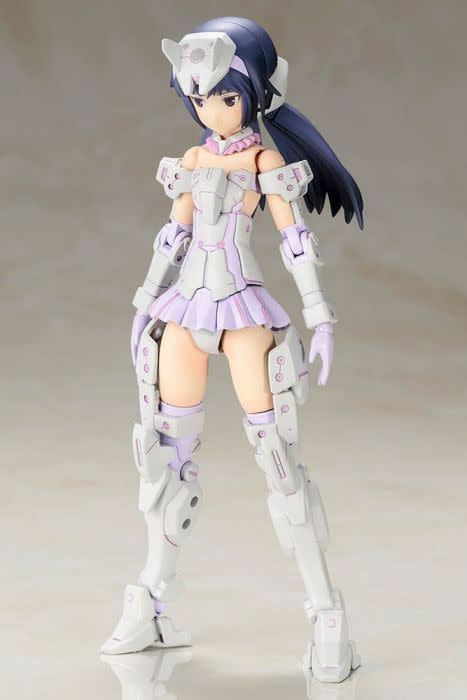 The interchangeable face parts are all pre‐painted, allowing for quick and easy assembly. 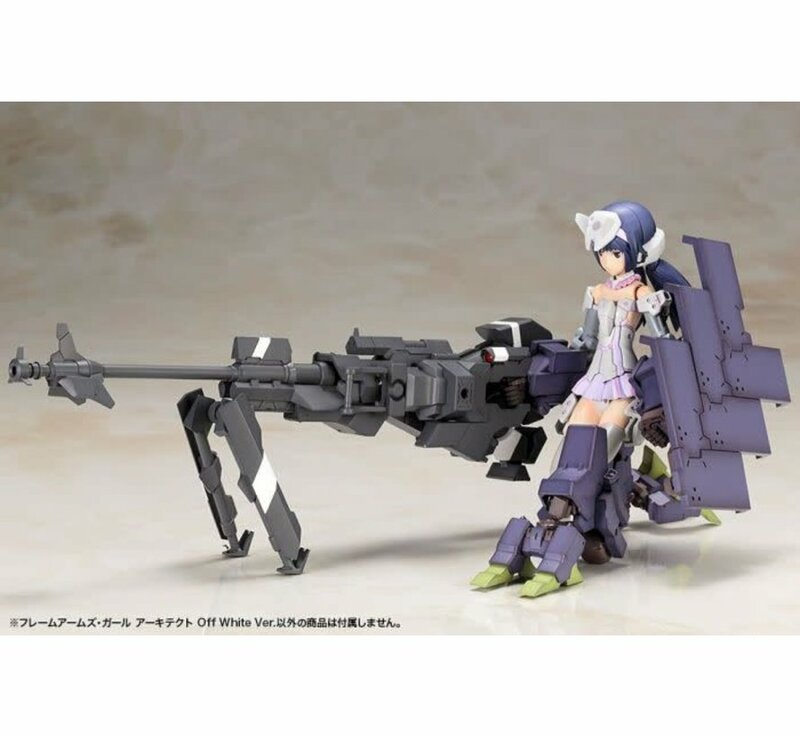 The kit includes 3mm elbow joints that allow you to aƩach the forearms from the original Frame Arms “Architect” and attachments for the left and right knees that allow you to extend the 3mm shaft. 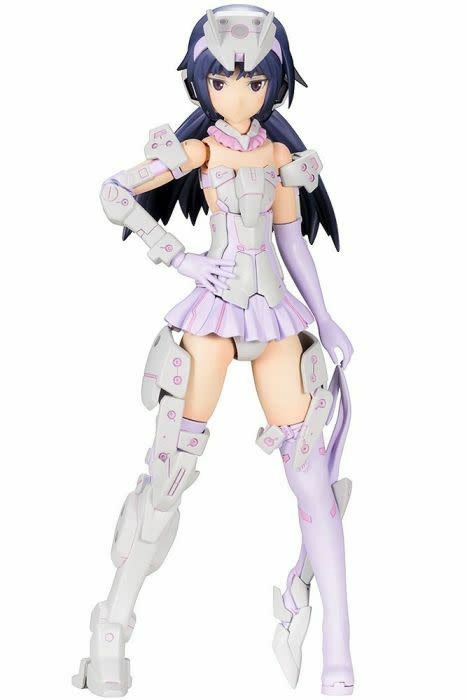 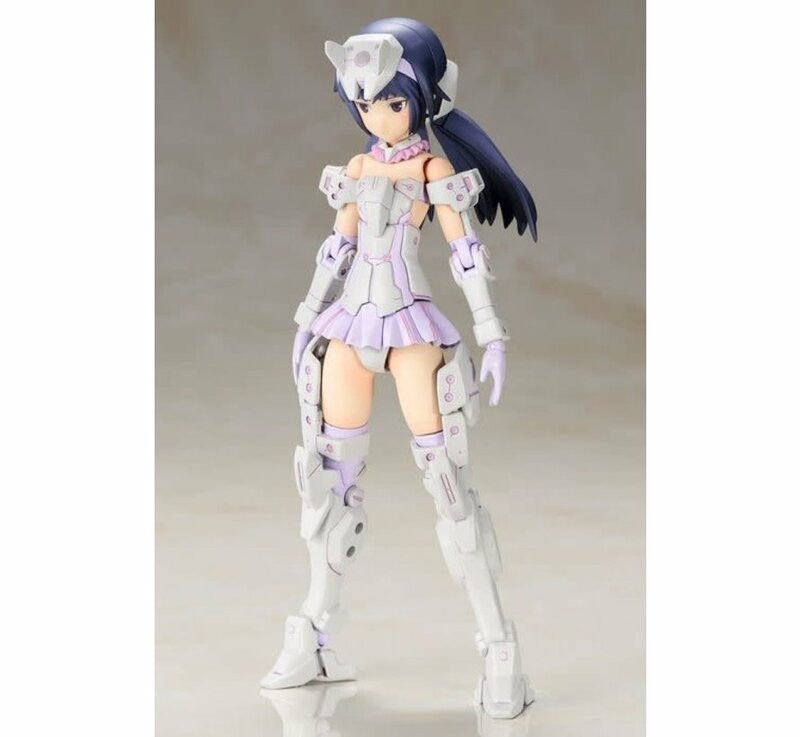 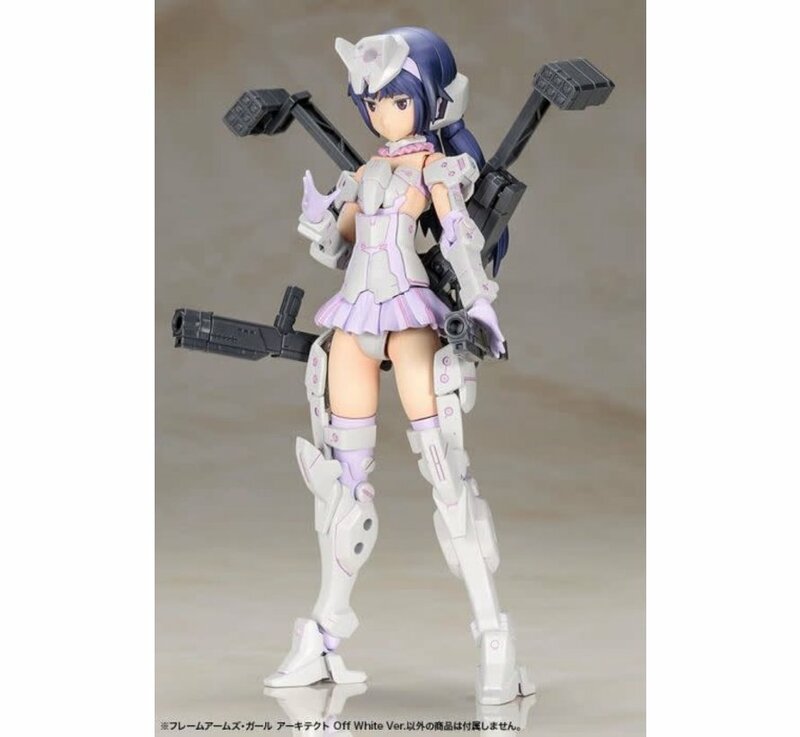 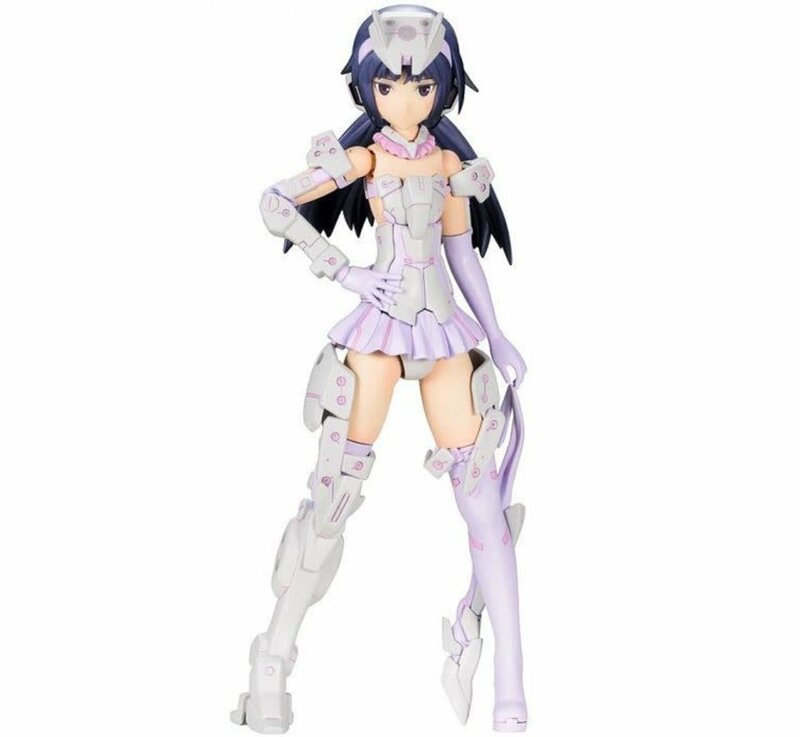 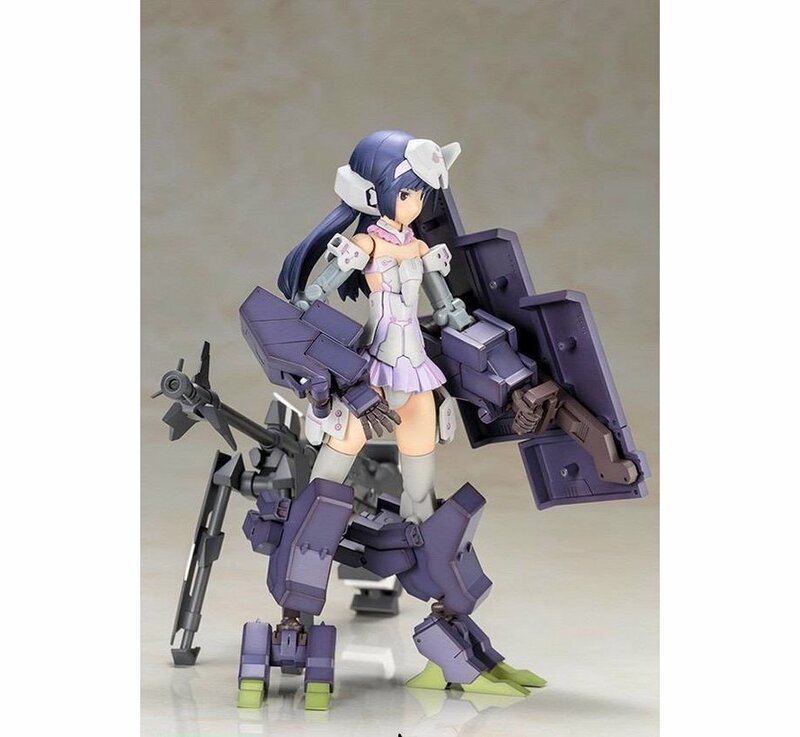 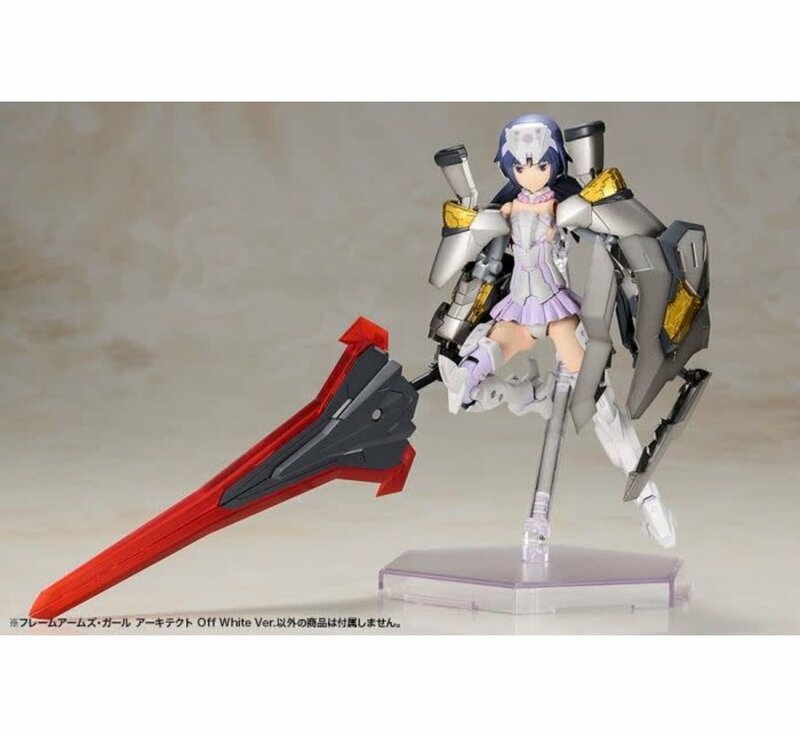 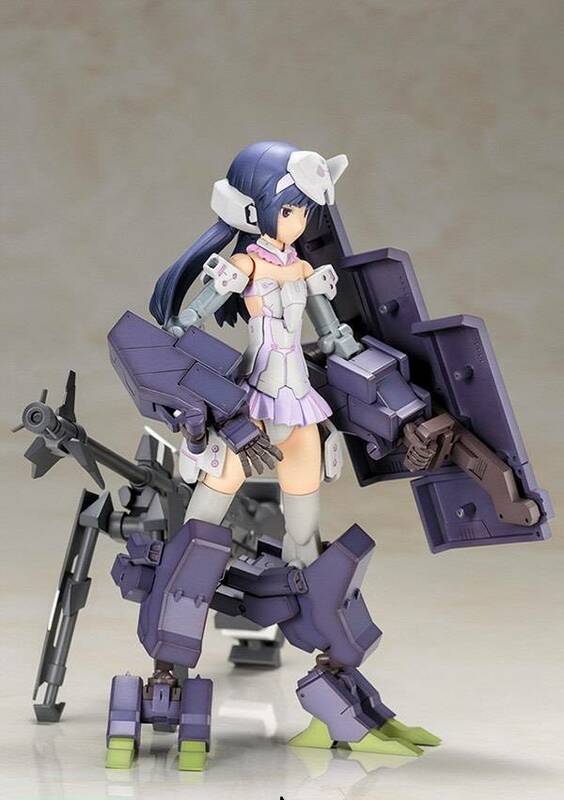 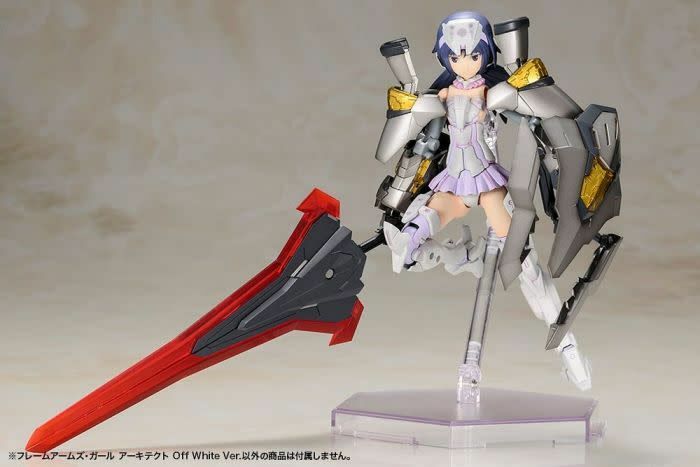 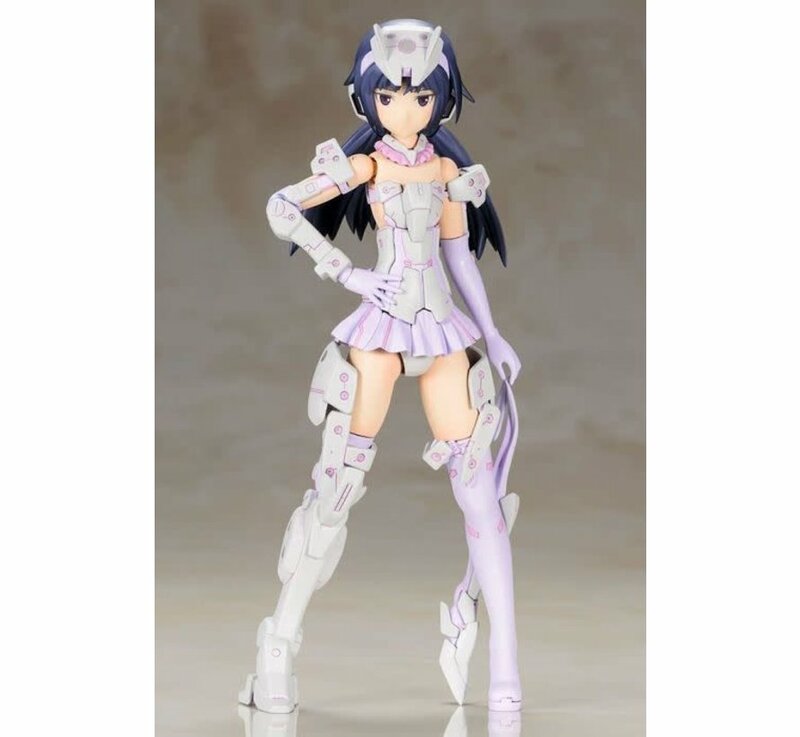 The kit includes five sets of leŌ and right hands that are compaƟble with the exisƟng Frame Arms Girls. 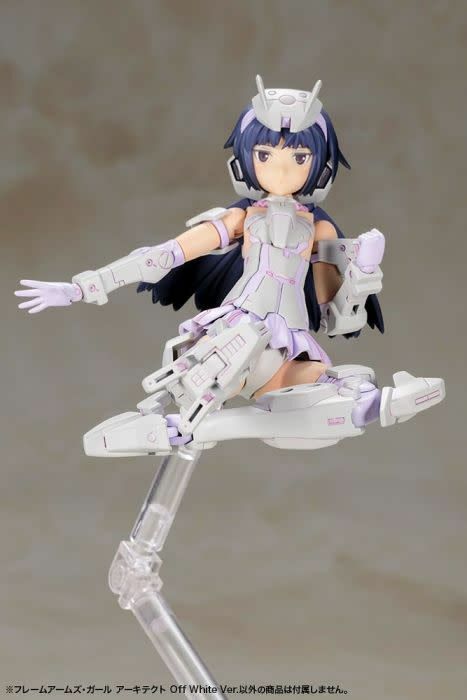 The kit includes a right arm and leg that allow you to recreate the original concept art. 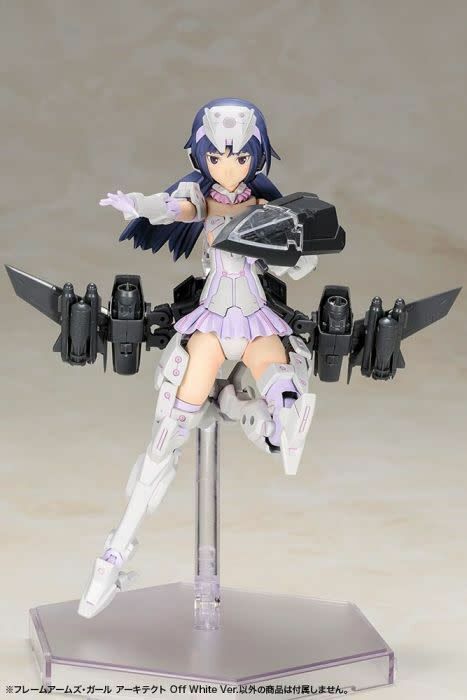 The kit comes with a base that can be moved up and down. 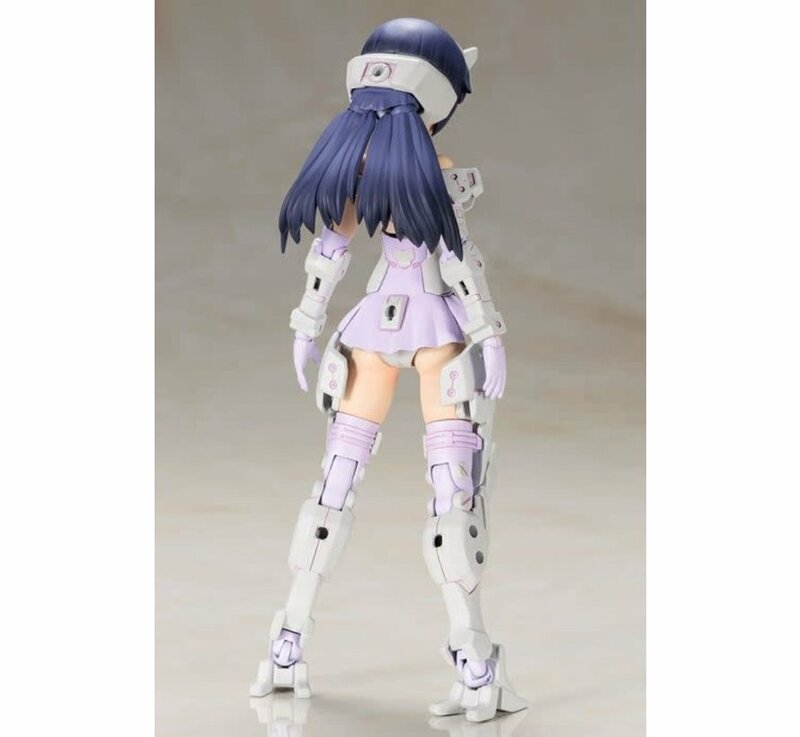 The back, waist, and calves are equipped with 3mm joints in order to make the model compatible with equipment from the M.S.G. 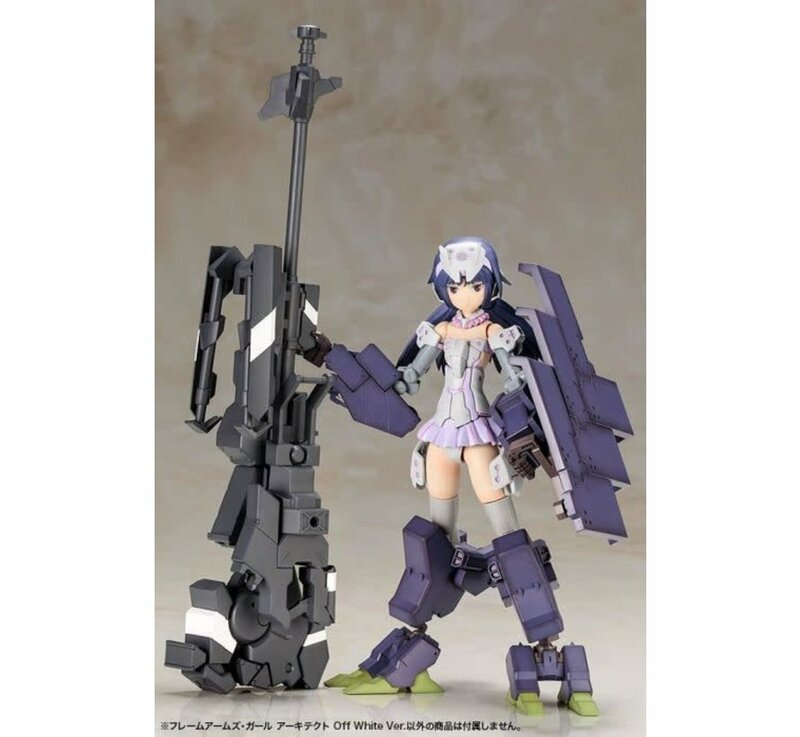 (Modeling Support Goods) and Frame Arms series. 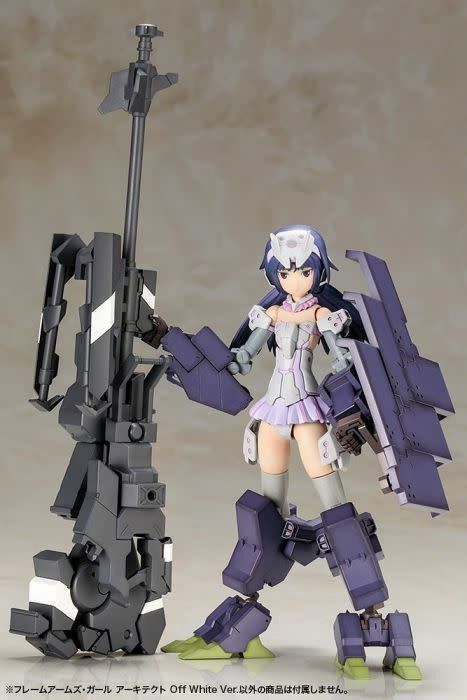 The kit comes with a samurai sword, gatling gun, and missile launcher. 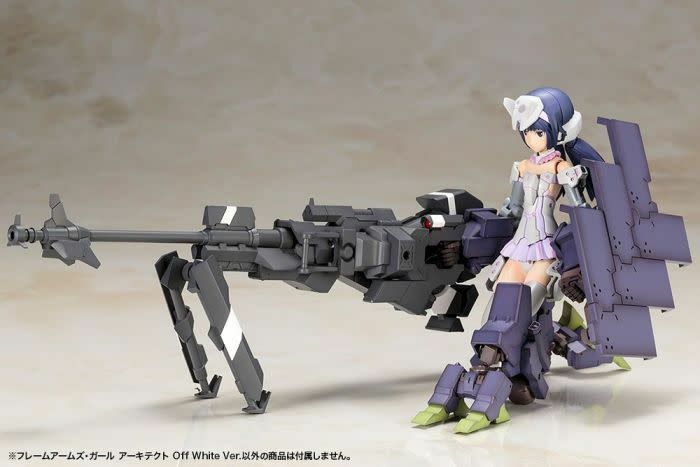 What are Frame Arms Girls?Frame Arms Girls is a spin‐off of Kotobukiya’s original Frame Arms model kit series. 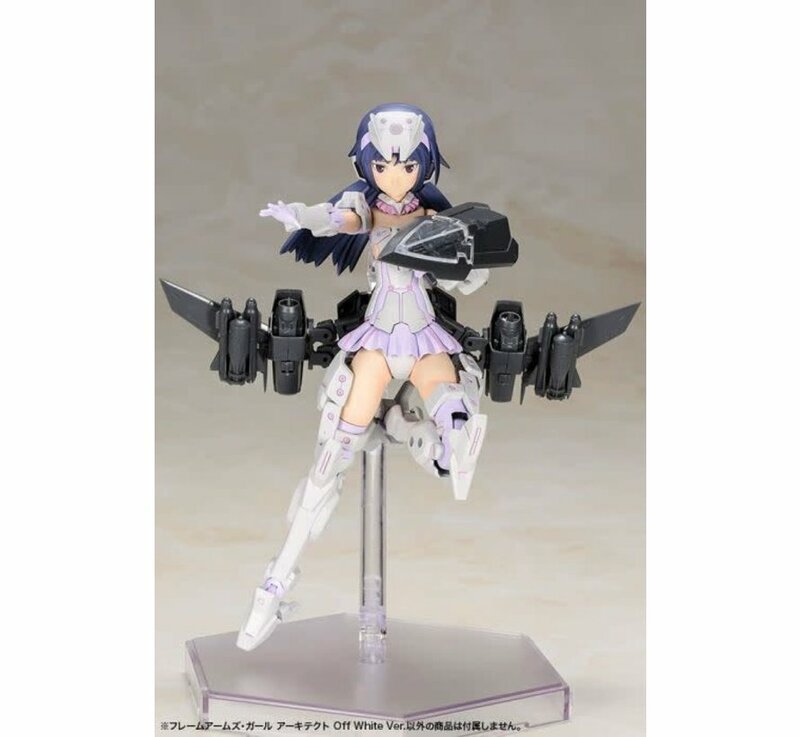 Frame Arms Girls combines customizability of the plastic model kits with the aesthetics of our Ani*Statues. 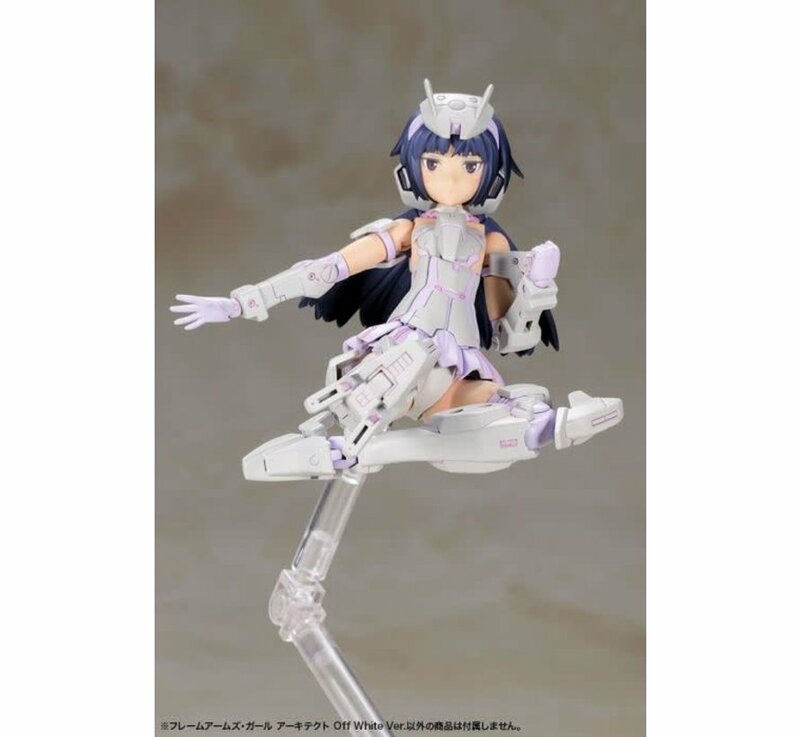 The kits come with multi‐colored parts and pre‐painted face parts making them easy to assemble with no paint required. 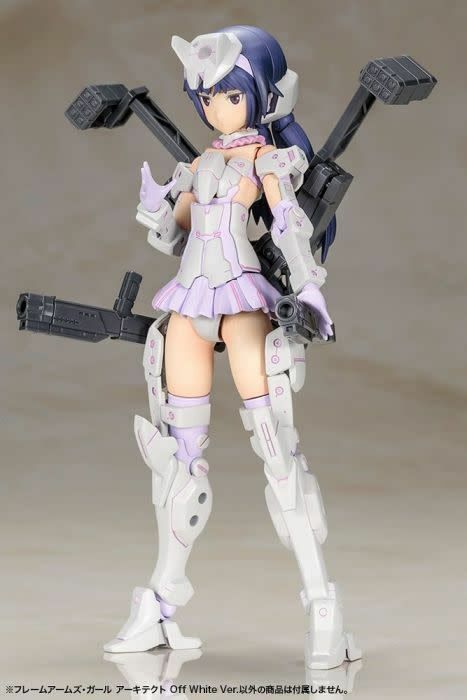 Equipped with the signature 3mm joints and PVC hands from the Frame Arms series, Frame Arms Girls can be used with a variety of parts from the M.S.G (Modeling Support Goods) and Frame Arms series. 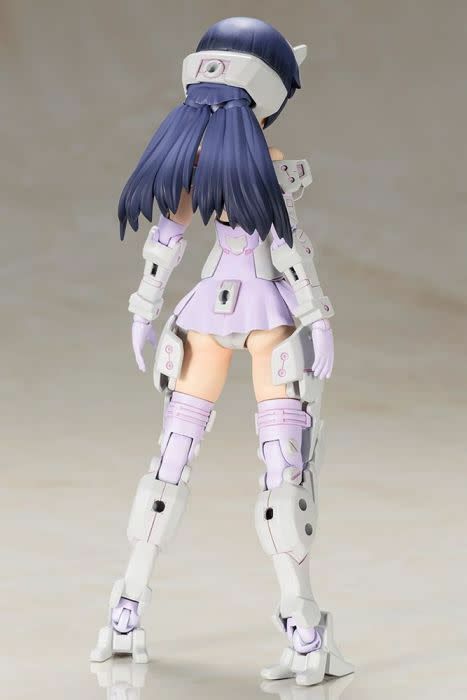 All of the subsequent models will come with interchangeable heads, arms, and legs, allowing you to create your own customized Frame Arms Girl! 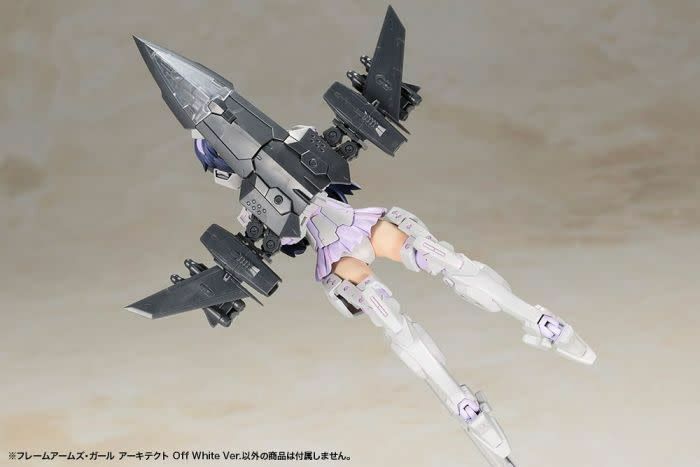 For the latest entry in the Frame Arms Girls series, the base color of "Architect" has been changed to an off white color often seen in the Frame Arms series.